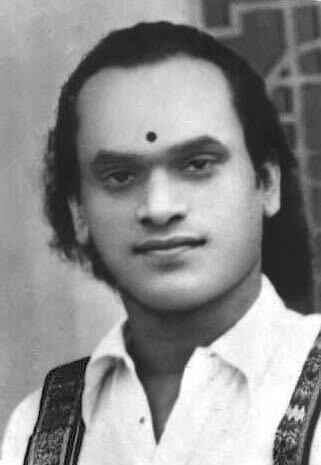 The opening years of tamil cinema witnessed the entry of eminent carnatic music vidwans such as Harikesanallur Muthiah Bhagavathar, Vidwan Srinivasa Iyer, Mannargudi Narasimha Iyengar, Madirimangalam Natesa Iyer, Maharajapuram Viswanatha Iyer, Maharajapuram Krishnamurthy, Musiri Subramania Iyer, G.N.Balasubramaniam, Thuraiyur Rajagopala sarma, V.V.Sadagopan, M.M.Mariappa, M.M.Dandapani desikar, Kothamangalam Seenu, K.B.Sundarambal, M.S. 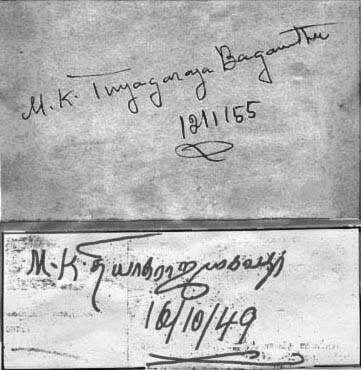 Subbalakshmi, N.C.Vasanthakokilam and M.K.Thyagaraja Bhagavathar. But not all of them had the rare ability to translate carnatic music into the popular music among the masses. Many of them faded away from films very fast. MKT's golden voice and the unique ability to add maximum lucidity to classical music kept him in good stead throughout his career. It was when MKT was very popular as a stage artiste that he got a breakthrough in his career. 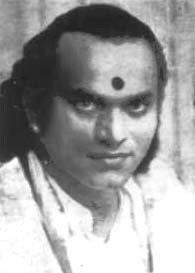 His stageplay Pavalakkodi was made as a movie in 1934. The succeeding ten years gave him an unrivalled name and fame as a movie star. There may not be any other star, either in tamil or other Indian languages or even international films, who would have attained such a distinct fame as MKT did in just a brief span of 9 movies !! Most of his songs which are still popular are from 6 out of the first 9 movies !! Today we can mention the names of many stars, capable of the poorest acting possible, who tread their way through more than 100 movies by the sheer force of their lucky stars !! MKT was not gifted with great acting skills. Nor were the other stars of his period. Since music dominated over acting, film actors were primarily singers. Therefore it would be rather unjust to compare the acting skills of the film stars of that period with that of the subsequent period. However, MKT has always excelled in the role of an ardent devotee of God. With very primitive technology and by enduring a lot of discomfort, the movie makers of those days made good films with elevating subjects and themes. Cinema was not a corrupting media. Today we have a combination of technological advancement and moral perversion in movies. The quality of music too has suffered a severe setback. From pure classical music to nerve-wracking raves, the transformation is keenly regretful. Moreover, while Hollywood and even the hindi film industry look upon the old timers with due respect and preserve the vintage films as precious things of antiquity, the tamil film industry is unaware of and indifferent towards the pre-1950 films. Many of the film reels are left to decay and the names of MKT, P.U.Chinnappa, T.R.Mahalingam and the like are hardly mentioned by the movie people of today. For information about each of MKT's films please visit the Filmography section (Filmography-Page 1). 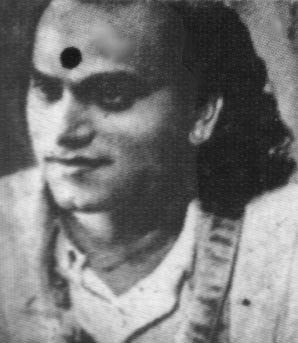 The first gramaphone record given by MKT was 'Radhe Unakku' and 'Gnana Kann' in early 1938. 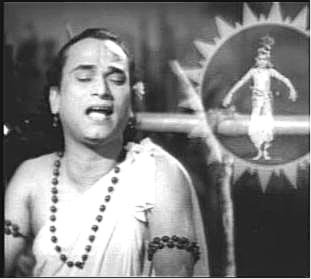 In the same year he rendered Sivaperuman Krupai' in the raga Suruti from the film 'Naveena Sarangathara'. He has handled many ragas in films which also include very rare ragas like Ratipatipriya, Rasaali etc. He deserves credit for popularising the raga 'Charukesi' in which Saint Thyagaraja has himself composed only one krithi. Charukesi became more popular in concerts after 'Manmatha leelai' was heard. 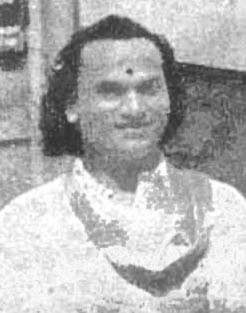 From then, many film songs were composed in Charukesi. A couple of the popular songs in that raga are 'Vasanthamullai' by TMS and 'Aadal Kaaneero' by MLV. Some of the songs sung by MKT in films are adaptations of popular concert songs. 'Manam Kaninde' in Ratipatipriya is set in the same tune as 'Jegajjenani' popularised by M.M.Dandapani Desikar. 'Santhvagunabothan' in Jonpuri is the same as 'Eppo Varuvaaro' popularised by Madurai Mani Iyer. 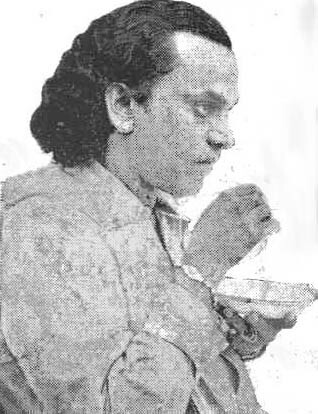 'Dhyaname enathu' in Kaapi is the same as 'Janaki ramana', a popular concert and bhajana sampradaya song. 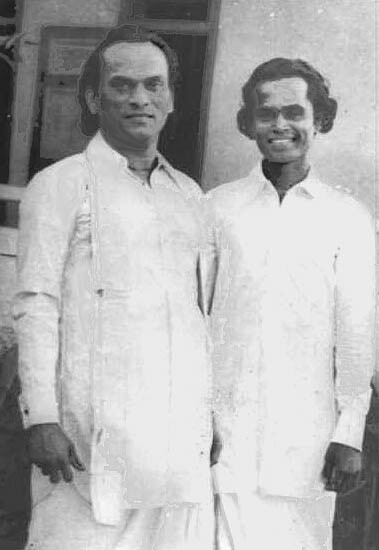 'Adhi devane' in Nadanamakriya is the same as 'Mukthi Alithidum moolasthanarai' sung by Alathur Brothers in their concerts. It appears as if MKT was particularly fond of the 'Sollu Pappa' song. He first sang it in 'Sathyaseelan'. 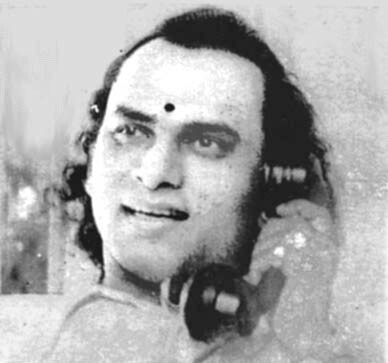 Later, when he produced 'Thiruneelakantar', he sang 'Sollu Pappa' as the title song. 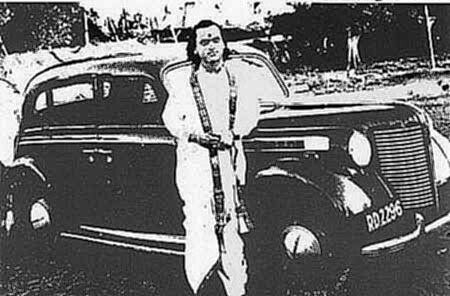 In 1941, when he spoke to a gathering at Madras in the Victoria Memorial Hall (see The Carnatic Musician page for more information), he has sung that song at the end of his speech. MKT's expertise in classical music is very well demonstrated in songs such as Pavalamaal, Sri Kalyana Guna, Sinam Kamam, Satre Sarinda, Eesan Kanmino, En Udal Thanil and songs such as Rajan Maharajan which he has sung with swara. Ranging from a brisk and happy Sindhubhairavi in 'Vadaname Chandra bimbamo' to a mellow and slower Sindhubhairavi in 'Van pasi pini' and 'Boomiyil Manida', MKT has portrayed different emotions in the same raga. Similarly, while 'Vallalai paadum' is a devotional piece in Chenchuruti, 'Rathey unakku kobam' is a romantic song (at least the first half of it) in the same raga. These were two of MKT's favorite ragas. MKT has handled the raga Kamas in two different styles in 'Orunaal oru pozhudu' and 'Manida jenmam'. 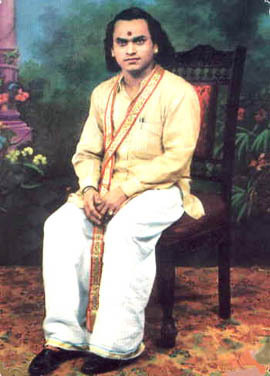 MKT's duet songs were even more popular among the masses than his devotional songs. Some of the most popular ones were 'Maya Prapancathil', 'Chandra Suriyar', Maane naan', 'Un Azhagai' and 'Vasantha Ruthu'. In his concerts, his fans used to bathe him with chits demanding catchy songs from his films. But if it were a concert at a temple, MKT always refused to sing those songs that did not have a devotional content. Papanasam Sivan, MKT and G.Ramanathan were an epic making trio at that time. Papanasam Sivan took extra care to compose for MKT's high pitched voice and MKT took extra care to bring out the emotions and sentiments in Sivan's lyrics as the composer wished. 'Chidambara natha' is even today one of the best songs in Hemavathi. 'Deena Karunakarane' and 'Krishna Mukunda' are two of the all time great hits in Navroj raga. 'Amba manam kanindu', 'Maravai puthaitha', 'Unai Kandu', 'Soppana Vazhvil', 'Arputha leelaigalai', 'Gnana Kann', 'Annaiyum thanthayum', 'Maname nee' and many more songs are everlasting classics. What MKT achieved is truly a remarkable feat. He became a superstar by popularising songs set in pure classical music. If even today his songs are sold in thousands, it may not be incorrect to state that the songs have withstood the test of time. During his heydays, Bagavathar was adored like a demi-god by his fans and some went to the extent of comparing him with celestial beings, as if he were born as mortal due to some curse or something. There is many a first hand account to testify that his complexion glittered like polished gold which finely matched the silk dress he wore at that time. 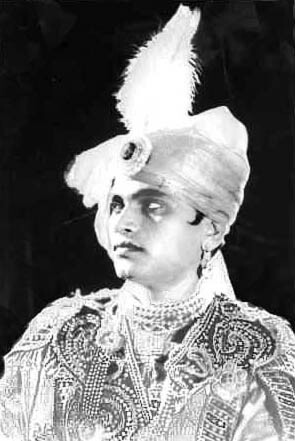 Bhagavathar's wavy shoulder-length crop and large diamond earstuds and rings became the most in thing in male fashion. Many held or perhaps still hold that they have never seen so charming a man nor heard a voice like his. 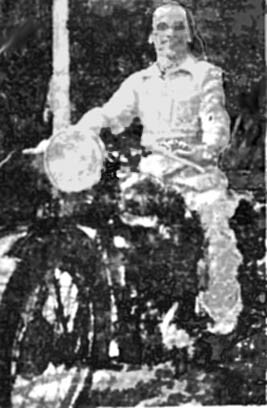 He ate from gold plates, rode on the motorbike and owned the latest model cars. His fans have remarked that he was almost like the uncrowned prince of Trichy! 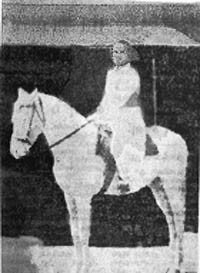 He had his own horse, a pure white one, which can be seen in the opening song of the film Haridas. MKT built a majestic bungalow in Trichy. 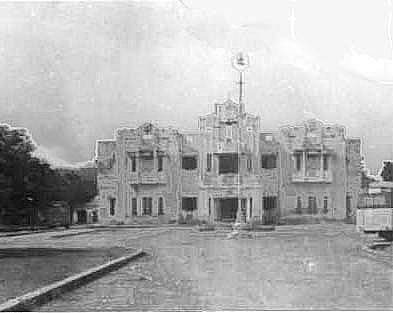 Besides that, he had houses in Madras in Gandhi Nagar at Adyar, Burkit Road in T.Nagar and Purasawalkam. He celebrated the wedding events of his sisters in great pomp and splendour. It was a time when his fans even collected the soil from under his feet and kissed the places touched by his hands. If he travelled by train, they would not let it proceed unless they got a glimpse of their matinee idol. Once when MKT was travelling by car from Trichy towards Pudukottai, he had to stop at the railway crossing. Very soon, quite a number of people gathered there to see MKT. When the train came by, it is said that the guard stopped it, alighted and requested him to sing 'Manmada leelai' and also said that unless MKT sang the song, he would not let the train move! On another ocassion when MKT's car stopped at the railway crossing, a passerby on a bicycle halted by his car humming one of MKT's songs. When MKT peeped out to see him, the passerby was astonished and thrilled to see MKT himself. Overjoyed, he immediately dashed to a small shop nearby, bought a soda which he wanted to give to MKT. MKT's driver tried to restrain the passerby stating that MKT would not drink that unhygienic drink. But MKT replied that it was the act of affection that mattered more than the drink itself and took it. His fans used to visit the concert halls and exhibition grounds in thousands to have a glimpse of MKT and listen to his melodious music. Every available space would be occupied by his fans. Even the electric post was not spared ! In one of his concerts at Salem, a young boy climbed an electric post and got electrocuted. When the concert was over, MKT visited the boy's house, offered his condolence and provided the family Rs.5000 which was then an enormous sum of money. The contractors who were engaged to erect thatched pandal for the music festivals in temples and other places would request the organisors to have MKT's concert as the last. They used to plead that if MKT's concert is scheduled for the first day, they would have to reconstruct the pandal afresh because the erected one would be grounded to earth by his uncontrollable fans. On the other hand, if his concert is held on the last day the amount to be spent for demolishing the pandal would be saved by them for the same reason. Such was MKT's terrific fame and popularity among the masses. Whereever he gave private concerts, invariably, if the concert was organised by a Zamindar or landlord or Raja , the organisor would take MKT with him for lunch/dinner and a royal food would be served with a variety of sweets. This was the main reason for his inviting diabetis. He was very fond of the wheat halwa. MKT used to visit some of the then famous hotels like Royars Cafe and the old Woodlands in Madras and some famous but small restaurants in Chidambaram and other places. When MKT visited Devakottai for a concert, he was received at the Devakottai Road railway station by the organisors and brought into the town in a chariot decorated like a King's coach with artistes playing nadaswaram and other instruments in front of the coach. The procession covered a distance of 2 miles from the railway station to Devakottai. Such was the kind of reception MKT received in his days. Trains would reach the destination 4 or 5 hours behind schedule whenever MKT travelled in them. Platform tickets in all the intermitant stations would be sold out. His fans would request him to get down from his compartment in each and every station to have a glimpse of their hero. His hair style, his ear rings, his beautiful eyes, his melodious and divine voice made him nothing short of a cult figure. Some of his fans even held him as the incarnation of goddess Saraswati. The impression of his car wheels in the dust was worshiped and the sand beneath it was taken like vibhudi. Even camphor lights were lit whenever he came near his fans. 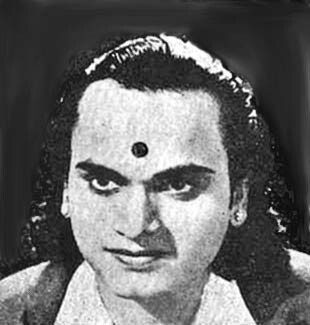 MKT's hairstyle became very popular and came to be known as the 'Bhagavathar' crop. 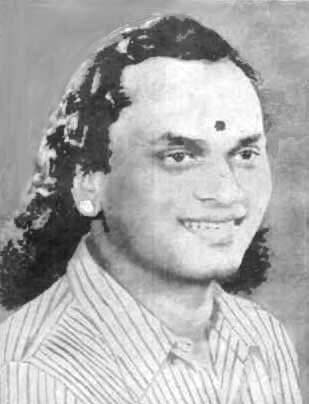 One of his fans from Mannargudi used to meet MKT ocassionally with a request to comb his hair with the comb that he would bring with him. He would then take it back carefully in a gold plated paper and keep it for his use. On every such ocassion, he would show to MKT the worn out comb received on the earlier ocassion.
" I am a woman who is unfaithful to million men" Greta Garbo, the Hollywood actress, said at seeing her fans' being crazy about her. MKT was to women what Greta Garbo was to men. He used to disturb their sleep very much. Women, rich or poor, of any caste or creed loved him in their inner hearts. This in turn did not fail to give scope for a lot of gossip. MKT acquired a charisma which is very hard to come by. From the time of MKT, the mere mention of the word 'Bhagavathar' has almost always only referred to MKT Bhagavathar, though there are many others with the same title. MKT had thousands of fans when he was at the height of his glory and their affection towards him continues even after so many years since his demise. One Mr.Gopal, who belonged to Karaikkudi, after seeing MKT's picture Sathyaseelan, became his fan immediately, left the home, came to MKT's house and settled with him permanently as one of his attendants. He even changed his name as 'MKT' Gopal. Once, MKT, Hariram seth(owner of T.P.Sokkalal Ramsait Beedi, Tinnevelly) and MKT Gopal had been to Mysore. While taking bath, MKT's diamond ring fell into the deep well. When MKT and others were discussing the ways and means to get it back, MKT Gopal, without informing anybody, suddenly jumped into the well and brought back the ring. More than the delight of getting back the ring, MKT was shocked. still runs a sound service named after MKT Bhagavathar "Ezhisai sound service" at Saligramam, Chennai. He feels that it is his duty to play the MKT songs daily. He has been doing this for the past several years. Another gentleman called Santhanam has also changed his name as MKT Santhanam. 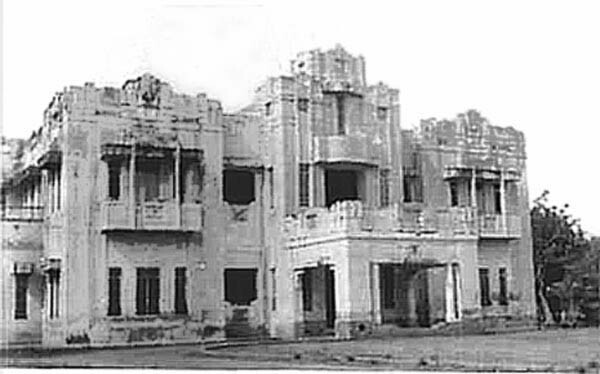 He also lived with MKT in MKT's house at Gandhi nagar, Adyar. MKT santhanam makes his livelihood today by making Appalam, Vadam and other food stuffs and selling them in West Mambalam, Madras. One Mr.Nagarajan who lives in Tippirajapuram near Kumbakonam, recollects his experience in listening to one of MKT's concerts. When MKT gave a concert at one of the exhibitions at Trichy, Nagarajan had to bear with the lathi charge by the police to control the unmanageable crowd. He listened to the concert with a swollen arm which makes him feel proud even today. Ask for 'Bhagavathar' and not Nagarajan in the neighbourhood if you want to meet him !! MKT was married even before his entry into cinema. 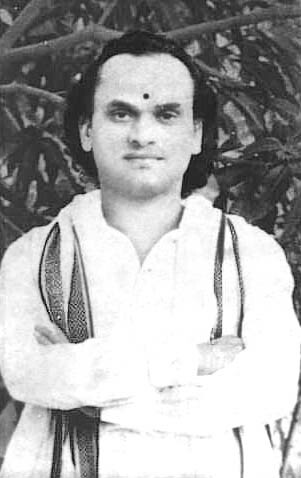 In his marriage, S.D.Subbalakshmi, who was his partner in drama, performed a Harikatha kalakshepam in the reception for which G.Ramanathan played the double harmonium. MKT'S first daughter Susila was born in the year Pavalakkodi was released. Couple of years later his second daughter Saroja was born. In December 1939, his son, Ravindran, was born. MKT had three sisters and two brothers, M.K.Govindaraja Bhagavathar, who was also a carnatic musician, and M.K. Shanmugam.